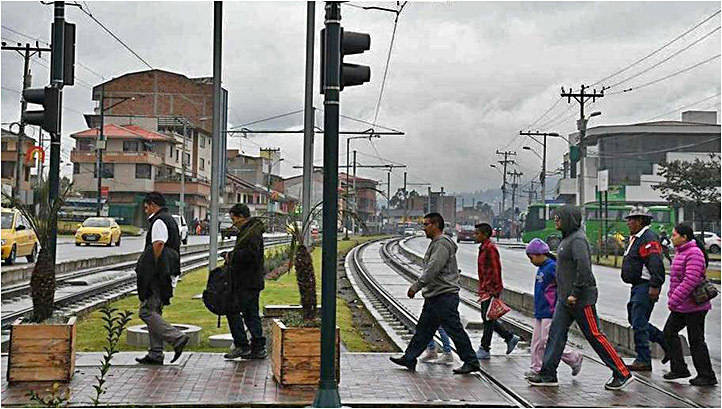 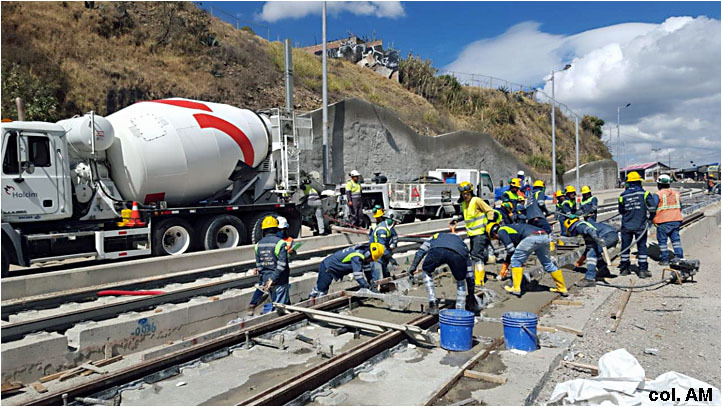 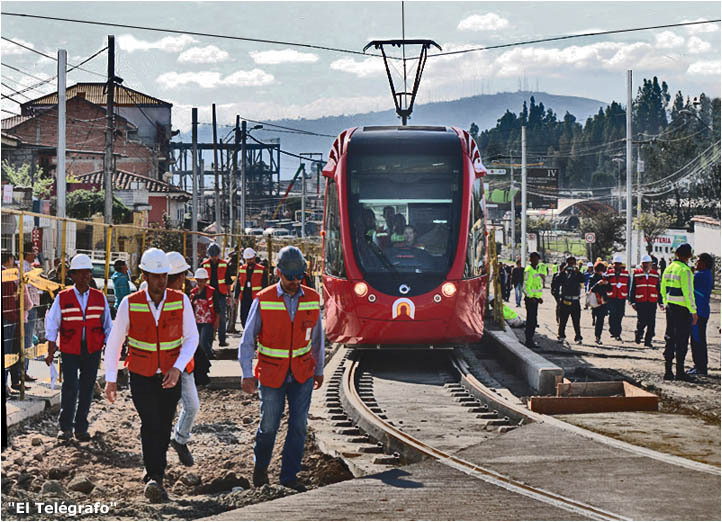 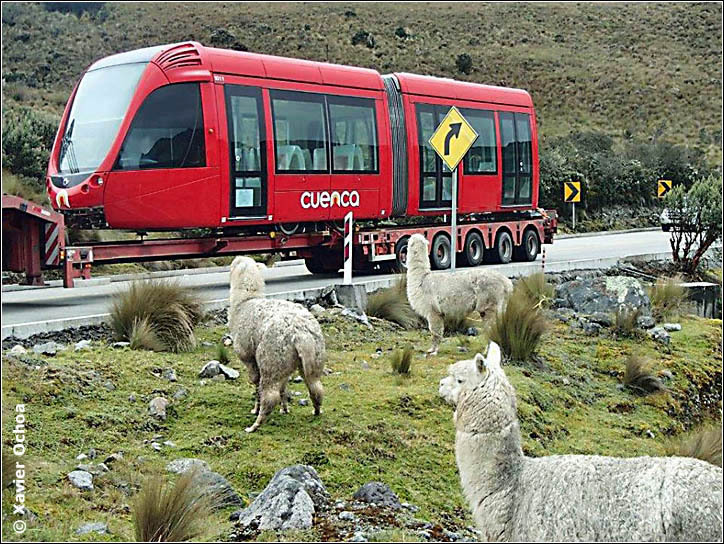 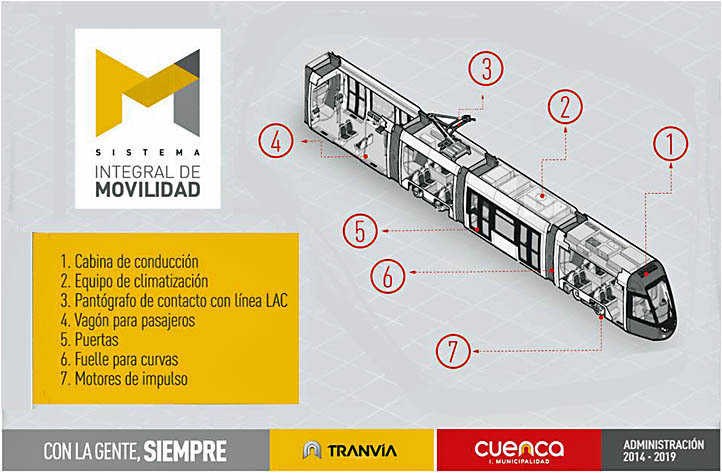 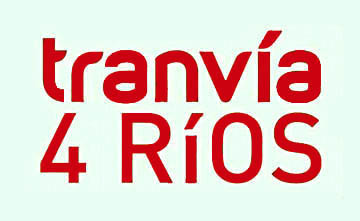 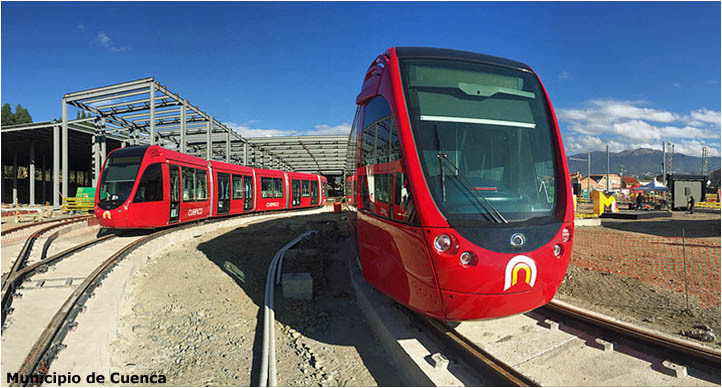 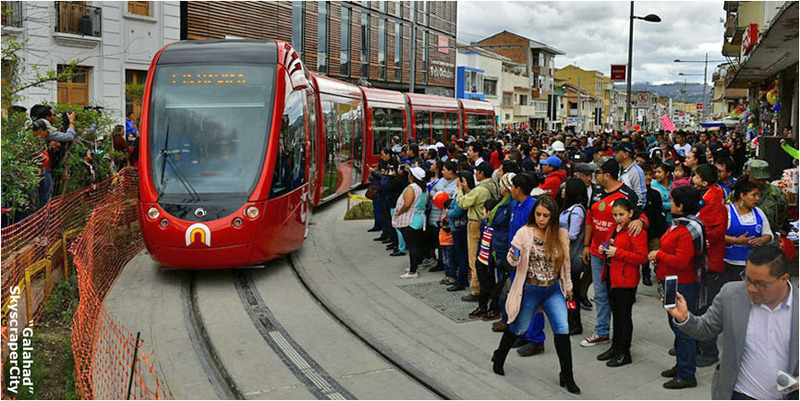 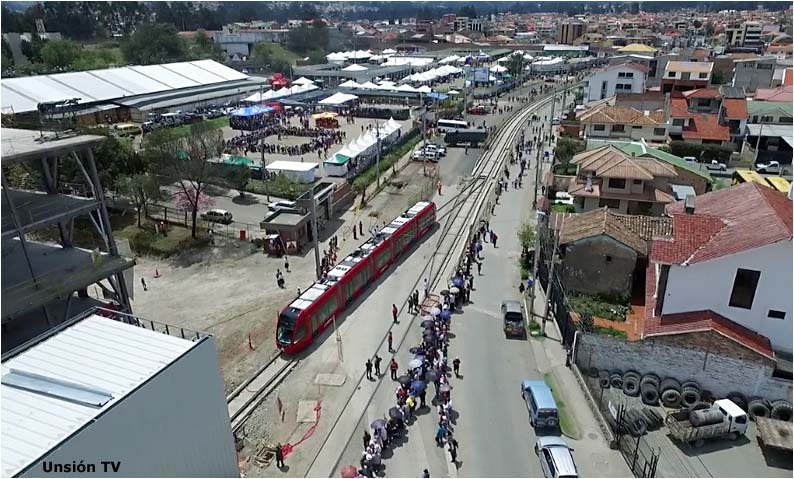 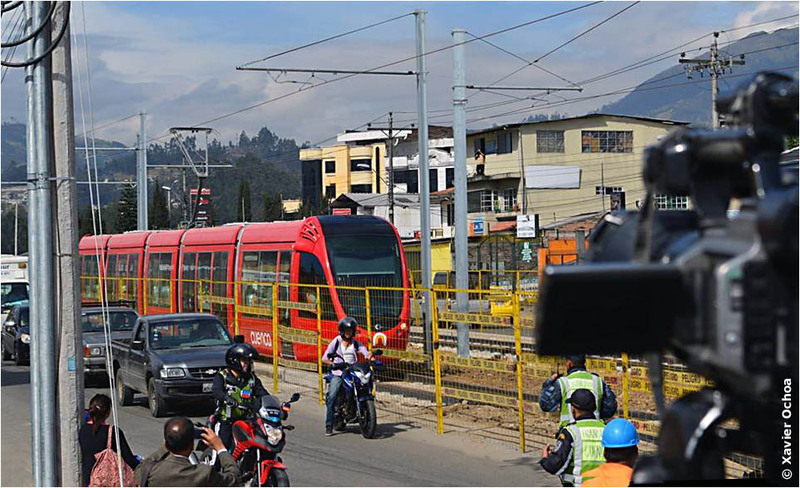 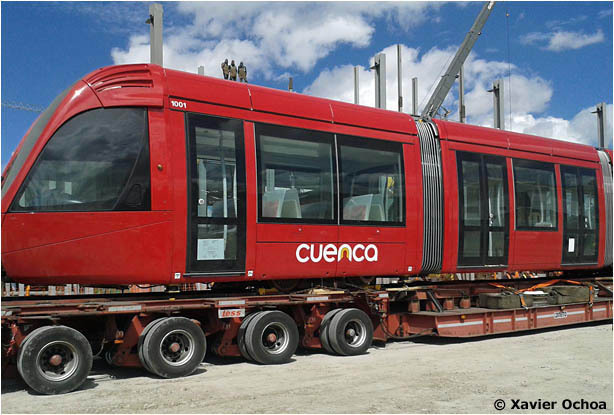 Plans for a tramway in Cuenca were first reported in an Informe of its municipal government in 2009. 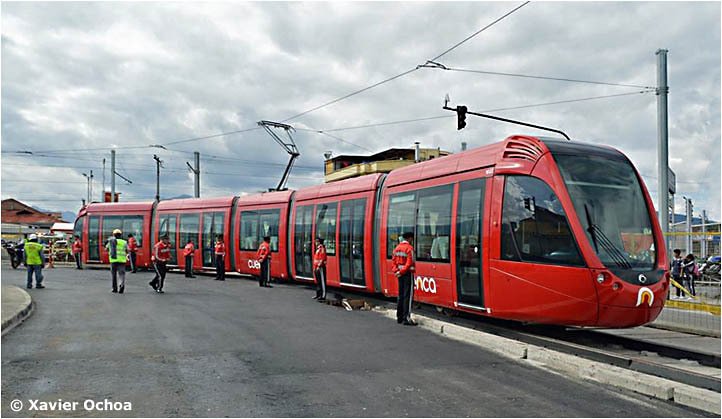 In 2010 it engaged Artelia of France for studies and in 2013 signed a contract with Alstom of France to build a 10.3 km electric tram line between the city's north and south sides [see map]. 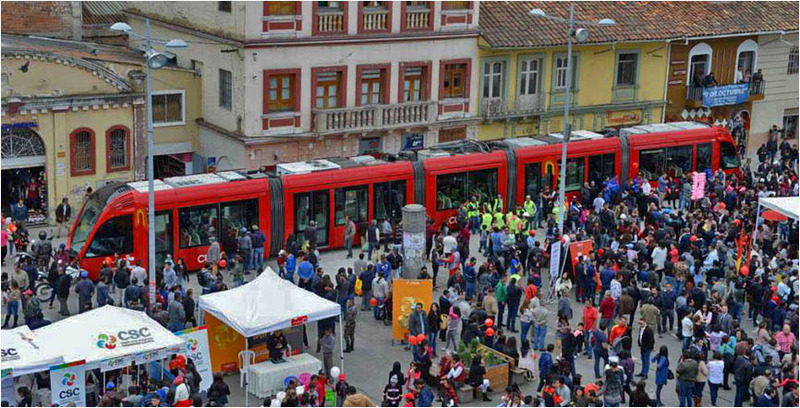 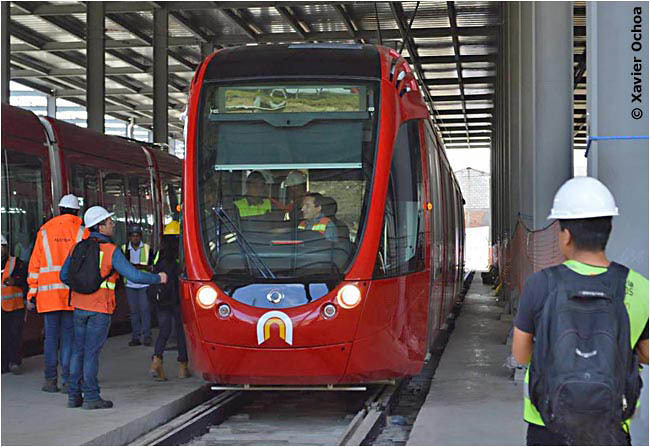 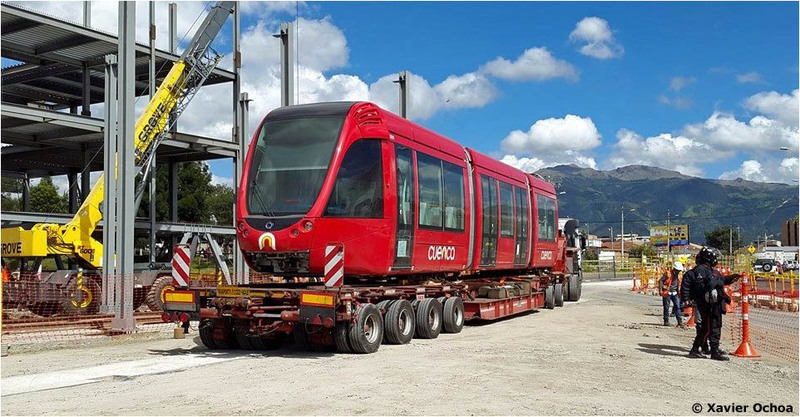 Alstom supplied fourteen 5-car 108-ft/33-m 300-passenger Citadis model 302 trams, which will use APS (Alimentation Par le Sol), rather than overhead wires, on the narrow streets of the historic center. 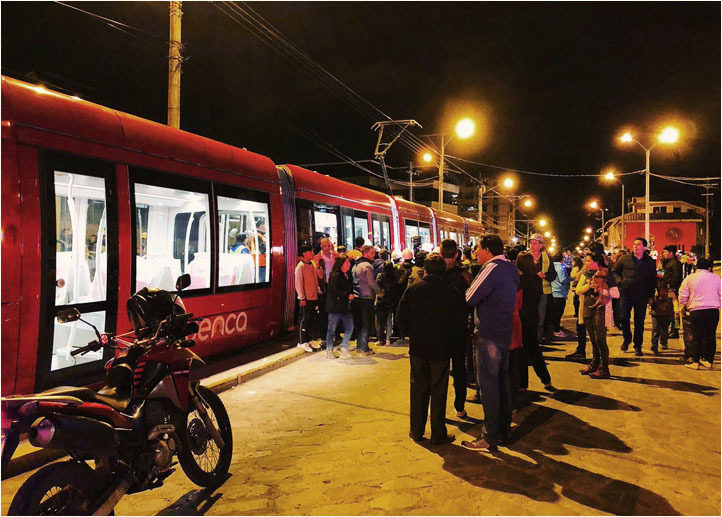 Residents are optimistic: "We are making it possible"
The author wishes to express his gratitude to Cuenca resident Xavier Ochoa for his extraordinary contributions to this page. 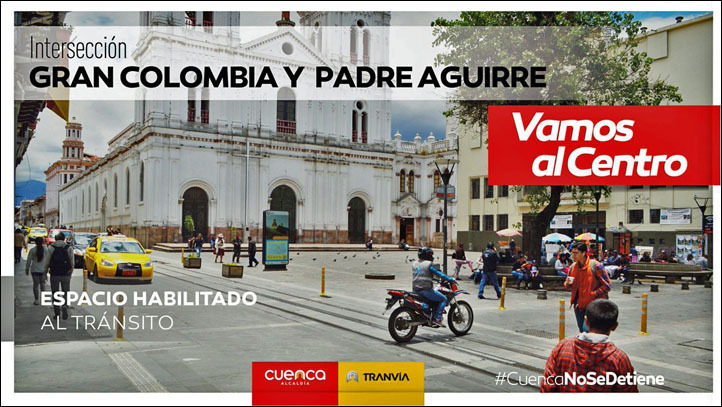 please write to Allen Morrison! 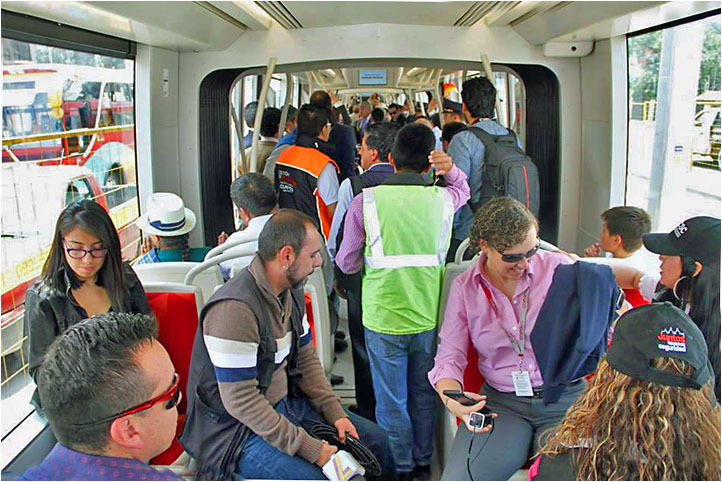 Leo y escribo español. 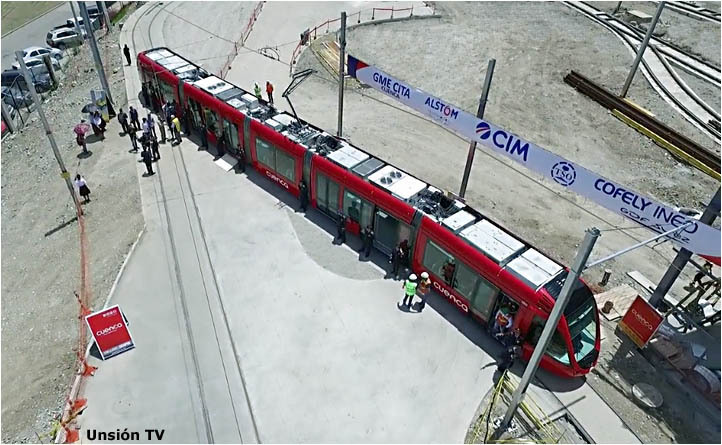 It was updated on 1 August 2018.